Findus Steamed Delicious Fish Dinners has become my saving grace for weeknight eats. It is ready in minutes and is a nutritious choice. Findus only uses MSC Certified fish and is considered the “gold standard” in seafood sustainability. So hey, your even helping the environment (not just yourself). My go to is the cod loin with lemon parsley butter. 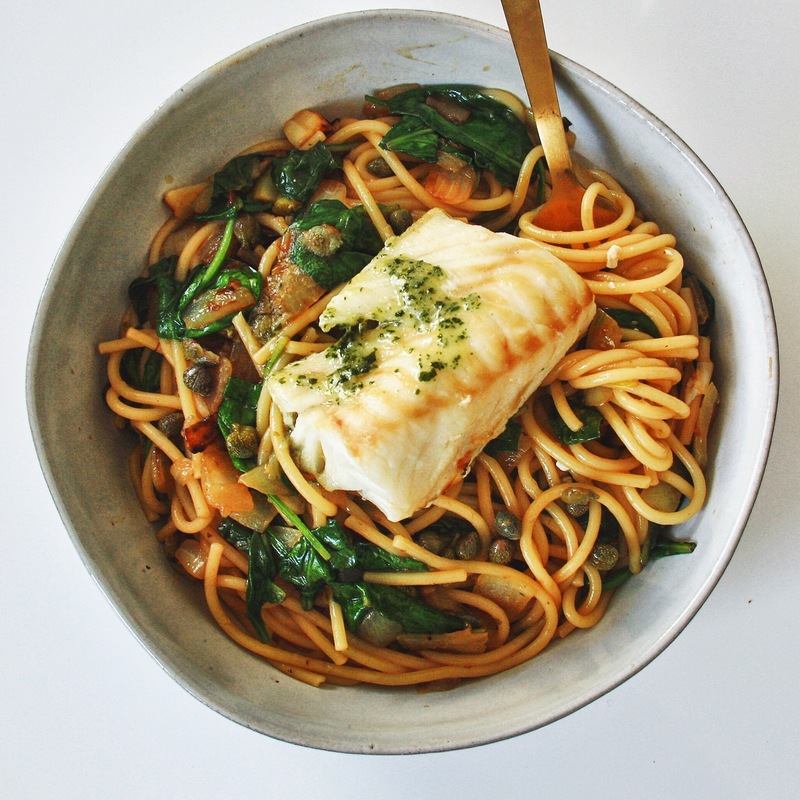 You have the option of cooking the cod for 4 minutes in the microwave, but I opted for the oven for 25 minutes because I accompany the fish with a lemon, caper and spinach pasta to highlight the flavours of the parsley butter atop of the fish. This is a light dinner that makes you feel like your dining on a patio at a trendy restaurant. You can pick up this product or other flavours at a Sobeys near you. Cook the cod loins according to the package instructions. Bring a large pot of salted water to a boil. Cook the pasta following the package instructions. Strain and reserve 1/2 cup of the pasta water. Meanwhile, heat the oil in a large sauté pan over medium heat. Saute the onions until they are translucent, 5-7 minutes. Add the garlic and sauté for 30 seconds, until fragrant. Season with salt and pepper to taste. Add the lemon juice and capers to the pan and scrape the brown bits stuck to the bottom. Add the pasta, half of the reserved pasta water and spinach and toss to combine. Add more pasta water if necessary. Season with salt and pepper to taste. Divide the pasta between to bowls. Top each bowl with a cod loin.